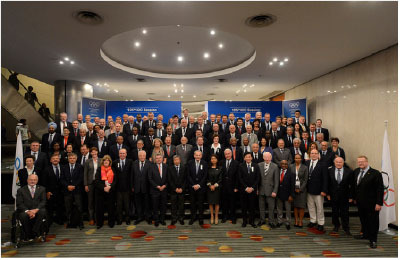 Thomas Bach of Germany was elected today as the ninth President of the International Olympic Committee (IOC) following two rounds of votes at the 125th IOC Session in Buenos Aires, Argentina. Read Bach’s biography and manifesto. The new President replaces Jacques Rogge, whose 12-year tenure officially ends at the close of the 125th IOC Session today. The President is elected by the IOC members by secret ballot for a term of eight years, with the possibility to stand for re-election for a second, four-year term.